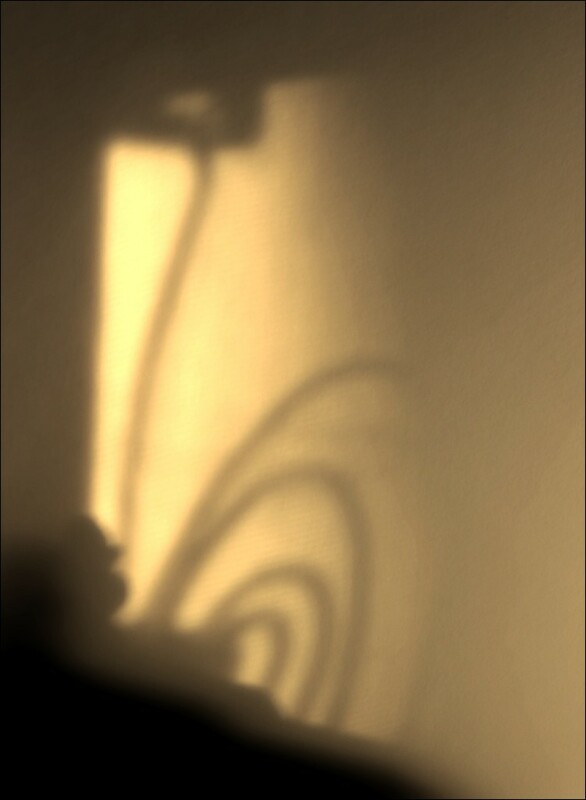 I was intrigued by the concept of photographer Olaf Sztaba's use of shadow to define shape or the subject so I thought I'd try out his technique when I saw this shadow on the wall this morning. It was suggested to use monochrome in the discussion thread but quite frankly (and this is rare! ), the color version was better so I'm sticking with that instead. Fascinating photo. Love the elusive feeling it evokes. It's a look and think shot! Cool! I didn't understand the challenge. I love this shot though. Well spotted and beautiful capture. I love the shadows and the patterns. Well done. Very nice spotting. The gold color and the lines are very nice. You are the champ of b&w so we can believe you tried that. I like the soft gold here. @joansmor I didn't understand the explanation on the challenge but when I went to his photos I felt that what he was doing was defining his subject by taking a picture of its shadow. So, for example, instead of taking a picture of a person walking between two buildings, he took a picture of the shadow on the pavement of that person walking between two buildings. This shot actually has two shadows. The first is the top of my lamp on the sideboard in the dining room and the second is the wind chime hanging by the back door. When the sun rises in the morning it puts shadows from objects both inside and outside on the dining room wall. I don't know if that explains it better, but that's how I understood his work. Thanks to one and all for stopping by, leaving a comment or two and a fav! I really appreciate it! I will probably explore this technique a bit more before it ends. @pdulis Thanks Peter! I will check that out! A great shot of those nice shadows. A lovely shaped shadow captured. I don't know Olaf Sztaba, but I do like the notion you describe. Might check this out. Thank you Ferry, Kathy, St. Pepper, Wendy, Lynn, and Marnie! @olivetreeann Ann, I have posted a few images showing my interpretation of the challenge. Of course, you may have a different one. If you could convert your image to BW that will qualify it for voting, otherwise it won't since it does not fit the parameters. Kindest regards, Sergeant Pepper. @olivetreeann Ann, others have posted to the challenge also with their own interpretations. You can also review the work of Olaf that is linked to the challenge. Sergeant Pepper. @gardenfolk Thank you CC- I will try to check that out. I'm a bit swamped with projects off site right now. @walrus Thank you for the heads up. I have another one pending- just haven't had time to process it yet. That one should work well in black and white- it's stronger and bolder. This one was too weak contrast and the curl was lost in the midtones when converted. This is so soft and appealing - abstract too ! @fr1da Thank you Frida! I liked it and didn't want to fiddle with it any more but it didn't match the criteria of the challenge. The second shot did though so I was able to leave this as is.